Are you an experienced carpenter looking for a new opportunity in the Bristol, VA area? Luttrell Staffing Group is currently recruiting for Carpenter | General Labor. Install structures and fixtures, such as windows and moldings. Measure, cut or shape wood, plastic and other materials. Construct building frameworks, including walls, floors and door frames. Help erect, level and install building framework with the aid of rigging, and hardware and cranes. Inspect and replace damaged framework or other structures and fixtures. Instruct and direct laborers and other construction helpers. Qualified candidates must have basic mathematical skills to be able to calculate volume and measure materials to be cut. Candidates must have problem solving skills, be detail oriented, and be able to read and follow blueprints, and building plans. This is a very physical job and does require heavy lifting (50-100 lbs), good hand/eye coordination, standing, climbing and bending for long periods. 2 years of carpentry experience is required. Please apply by clicking the link below, then call our office (423) 764-1334 today! 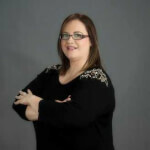 Beth Chapman is a Staffing Coordinator with Luttrell Staffing Group. She is passionate about making sure that she meets the needs of both her clients as well as local job seekers. Beth recently started her new position after previously serving as the Bristol office's Administrative Assistant position since October 2016.